Sunil Gavaskar has stated that an intelligent Krunal Pandya has started IPL in a better manner for the Mumbai Indians than his fan-favorite brother Hardik Pandya. The legendary Mumbai batsman has also asked Mumbai Indians to sort out their struggling middle-order woes before it becomes too late. Defending champions Mumbai Indians have started the IPL in the worst possible manner as they are currently reeling in the rock bottom of the table with zero wins from their first three games. The star-studded team and coaching staff have yet to find the right balance in the playing eleven with numerous mixed performances so far. 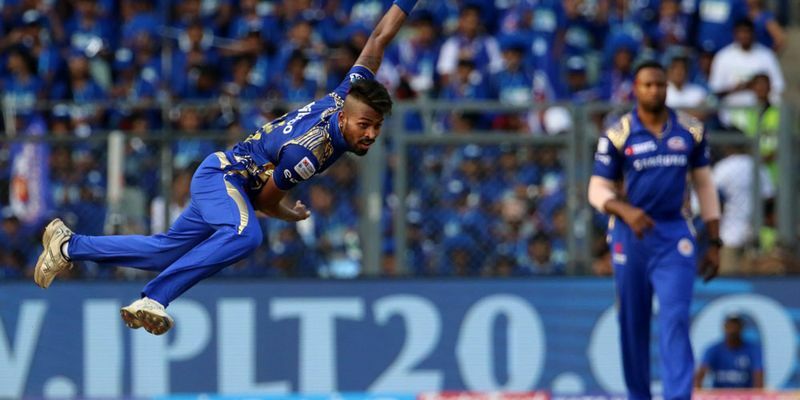 One of the biggest disappointments for MI so far has been a misfiring Hardik Pandya. The young star of the Indian squad, who has been one of MI’s biggest weapons in the last two seasons, has faltered with the willow in the two games that he has played. He has managed to score just 22 runs with a strike rate of 104.34 and an economy rate of 9.33, with opponents measuring him well. And Gavaskar, in his TOI column, pointed out where it has all been going wrong for him. “Teams now know not to bring a spinner on when Hardik Pandya is batting, for he can smash them out of the ground. However, he does not find the seamers that easy to belt and so he will be confronted by most captains. Mumbai also must look at their tactic of bringing him on when the field restrictions are in place, for he can be expensive than his brother,” wrote Gavaskar. His elder brother, Krunal, however, has been pretty handy with both bowl and bat. Despite not having the huge hitting prowess as his brother, he has managed 67 runs in three games coming down the order and has also been economical (6.2) with the ball. “Krunal has been impressive with his canny left-arm spinners and down the order he keeps his cool and get runs at a good clip without hitting the big sixes that his younger brother hits,” wrote Gavaskar. However, to MI’s fortune, they face yet another struggling team on Tuesday in RCB who have managed just one win despite having a good side on paper. Gavaskar has blamed RCB’s failure to their over-reliance on skipper Virat Kohli and AB de Villiers. “The Bangalore team made a spirited chase of the Rajasthan total but once Kohli and de Villiers went in quick succession, they knew it was going to be too big a mountain to climb. “They have a top four that is the envy of most other teams but they haven't as yet got the runs from them that will take them to victories. Kohli and de Villiers both love batting at the Wankhede and if they get going then Mumbai may have to wait for their points a bit longer,” Gavaskar stated.